Feeling the love from the blogging world right now! Decided to do a giveaway on my best seller The SLP Objective Binder: click here to read blog post or click here to see it on TpT (will also include the companion). I started this blog during a rough time in my school year. The support from all of you has been so uplifting. Thank you! I am rather new to this whole world; I started my TpT store February 10th! I want to make sure I continue to give back and share with all of you. Thank you for reading this, sharing ideas and supporting my products/practice. Here is my Marvelous Monday Giveaway(maybe this should be weekly!?) I will pick 2 winners Wednesday morning at 9am Pacific. 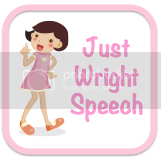 I have been doing travel speech therapy in the schools, so I find that learning the system(s) for IEP documentation has been varied and challenging. I give myself time to learn it and always befriend either the SpEd teacher or a speech colleague to answer my questions as I am learning. That's what I try to do too Kathy- the knowledge and support of others can be quite helpful at times! Traveling would be so hard!I can't even imagine figuring out different IEPs, one is enough for me! Even after all these years of practicing in the schools, my greatest challenge is advocating for myself/my own expertise in my field during contentious meetings with parents, advocates, and lawyers. On the other hand, difficult cases have been very rewarding challenges as I see the progress the children make. I agree! I feel like after the meeting is said and done; I think to myself "oh yeah, I should have said___ and ____". I had that happen once when I parent was referring to hospital SLPs. I thought after...HEY! I have the same credentials and even worked in a hospital! haha If only i could remember at the time! I think the most difficult thing is finding a balance in all the different things we do. 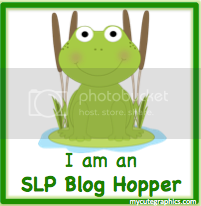 All the great ideas on the SLP blogs and tpt help cut material creating and planning. They continue to inspire me on those hard to balance weeks and keep me going. I agree, trying to keep up to date and be all things to all people is rough! TpT totally helps! This looks like a great resource and therapy tool. Thank you for taking the time to write it! My biggest challenge is trying to get training that comes up -- my principal says "You should already know all that". Never mind if it is cutting edge information just put out. Oh well. That is awful Ann!! Research is new all the time, does he say this to his teachers? Just keep doing what you are doing? Isn't that the definition of insanity? Doing the same thing and expecting different results? Wow and I bet it would be hard to explain that to your "boss". Good luck! My greatest challenge has been not to get overwhelmed by the paperwork and keeping a balance between home and work life. Doing therapy is the enjoyable, easy part! Yep! I have to try to find a better balance between work/home life as well. I sort of started this blog because it doesn't feel like work, and it motivates me to think of new ideas! My greatest challenge as a public school SLP is keeping it all in perspective. You can't be everything to everybody all of the time. You have to learn to appreciate the small things and savor the successes, however few and far between they may be. I truly enjoy my profession, but staying realistic and focused can be very challenging!! Marcie! THIS WAS MY FAVORITE RESPONSE! I get down on myself all the time because I just can't keep up! I have to remind myself, when it comes down to it, I am doing the best I can with what I have been given. I do what is best for myself and the students and that should be enough! I feel guilty for having to test students and cancel groups once in a while, but we write our IEPs to allow for that so I shouldn't feel bad. It's hard to maintain balance and get some perspective that it's okay. In the end I am still doing my job! My greatest challenge right now is keeping up at work while keeping sane at home with a toddler and a baby. I feel like I need to be superwoman in both areas, but it's a bit exhausting. Good luck girl! That sounds soo hard! I don't have kids of my own yet. I can only imagine how tired you must be! Props to you! Hang in there! I started my blog at a rough time too! 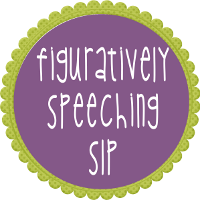 I'm in graduate school, so not a real SLP yet, but blogging has continued to help me love this field! My biggest challenge right now is learning everything I can without feeling too overwhelmed!! I have been an SLP in the schools for 13 years. My greatest challenge is accepting that we must consider money before the needs of our students. I deal with this by going to sites and blogs such as this to find new activities and inexpensive materials to add interest to my session. So true! I have spent my own money on my students, but finding deals and buying materials from TpT makes life easier! My biggest challenge has always been keeping up with the paperwork, which seems to increase constantly. 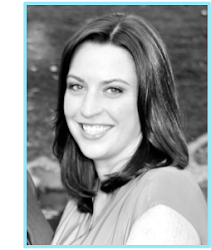 I have found that scheduling can make a big difference in your happiness as an SLP. My first year I learned that the hard way, didn't give myself time in the morning for IEPs or long enough for lunch. Now I think I almost have all the kinks worked out....until next year when we have a new lunch schedule! Ack! I think my biggest challenge is scheduling. I work at 2 different campuses and my schedule for kiddos is always changing. I try and work with the teachers and intervention but we all have to give and take a few. Biggest Challenge: figuring out the best way for my non-verbal students to communicate their wants and needs. Solved it by upgrading my Boardmaker software and learning how to screenshot their favorite characters. Helps keep my brain challenged! I am jealous of your Boardmaker skills, I really need to take a course on how to use the dang thing! I had it in graduate school, but never quite figured out how to use templates. I always printed sheets of pictures and made the boards by cutting out all the pictures...haha How cool you use functional things that they like! (screenshots!) Props to you! I have been a public school SLP for 35 years and continue to admire the generosity of SLPs sharing their thoughts, techniques, successes, failures, materials, and themselves. Thanks to all you do in helping develop skills for our students. Wow 35! I am only 3 years in! Glad to hear that you are still finding this job enjoyable and collaborating with others!